Today’s leg of the A2B Virtual Run ran past the small ghost town of Kelso, California. The town was originally built as a railroad station in 1905 for the Union Pacific railroad. The location was selected because of its proximity to nearby springs which provided water for the giant steam locomotives running through the desert. Eventually, Union Pacific built what is now known as the Kelso Depot. 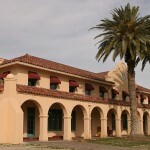 The depot served as a station and boarding house with recreational facilities for employees. It also contained a restaurant for passengers. A local mine added to a small economic growth boom for Kelso in the 1940’s and 1950’s. The towns population would peak at approximately 2,000 people. Later, when the mine closed and diesel engines replaced steam, the jobs and families moved away. Kelso officially moved into ghost town status when Union Pacific closed the depot in 1985. 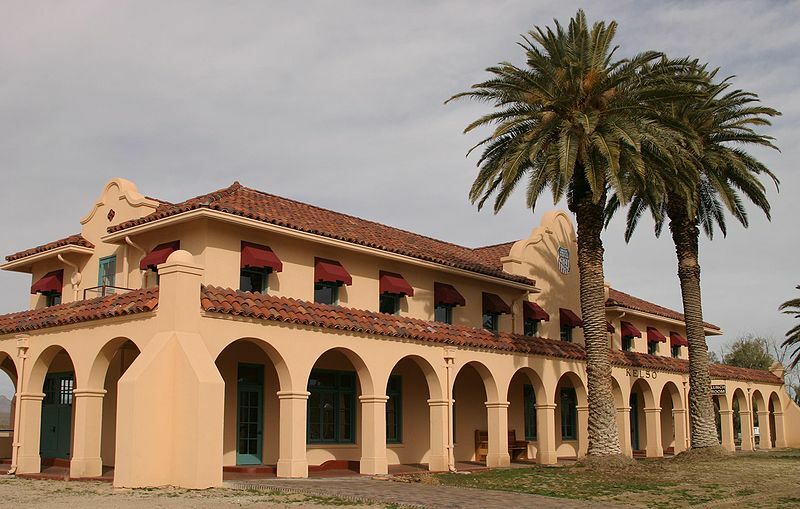 With the creation of the Mojave national preserve, the Kelso Depot was restored and reopened to the public as the primary visitor center for the preserve. It was a quick and easy run today after yesterday’s long run. It is not unusual for me to have some soreness or tightness the day after a long run. So I plan for extra stretch time. Also, I plan for a steady pace all the way through. No speed work. Because I have not been out on many long runs over the past 5 weeks, I was surprised to wake with no soreness! So I was able to enjoy an uneventful run without having to monitor my body so much. During my run, I enjoyed some fun music on my iPod. I started thinking of the power of music. Not just while running, but in all areas in our lives. One song in particular that popped up started me thinking. The song started with only a ukulele and a guy singing. As you might imagine with a ukulele as the sole accompaniment, it is a fairly upbeat tune. I had heard this song a number of times before on my runs. But I never paid much attention to the lyrics. As I listened today, I discovered that the song was about a guy being concerned that his girlfriend was going to break up with him. It was a song about worrying. Not exactly positive. Still, it was difficult to buy into the man’s imagined angst. It turns out that the ukulele isn’t exactly the blind man’s first choice for playing the blues. The head-bobbing rhythm of the music was stronger than the lyrics. It occurred to me that psychologists, neuro-linguistic programming therapists, and other types of counseling specialists could leverage this (if they don’t already). For example, they could have their patients write about their past trauma, then later sing the words back to ukulele accompaniment. Doing so could turn the darkest dirge into a peppy little diddy, taking the sting right out of any lingering personal thorns. For a while, I considered putting the entire idea into the “Brilliant” category. But then reality reminded me that this mental meandering is what happens when I leave my mind unchecked!